Fish "Bonker" Vs Live Chain. What do you guys do with fish you intend on keeping for the table? Kill 'em right away with a "bonker" or some such club, leave 'em on a chain or in the well, or just let it die in a bucket? Any hunter or farmer will tell you that meat tastes best taken from an animal that had a quick, stress-free death. It has something to do with the way oxygen is metabolized in living tissue I think. One might think the same would be true about fish meat. The longer the fish is allowed to struggle and be stressed, ie, on a chain or in a cramped live well, perhaps slowly dying of oxygen deprivation, the poorer the quality of the fillets. I don't know for sure that this is the case, but it makes sense. Maybe I'm wrong. Anyone have any input? Secondary from what's best for the pan, I can't help but think a quick, humane death is less cruel. I love fish. I don't want to prolong one's suffering, if possible. We all try to minimize the suffering of fish we intend to release, what about those who are "giving their lives" to keep us feed. Dispatch and put on ice... unless of course you enjoy them seasoned in gasoline/oil draggin them in the prop wash behind the boat. Whack them in the head and slit their throat. Not only does it help preserve the meat but it reduces chances of contracting E Coli bacteria from the fish (which is primarily carried in the blood, which can coagulate into the meat once the fish dies). I agree with the others, dispatch as soon as possible and cool them down. I do this ice fishing also, I see alot of guys just throw them on the ice but if you do that they revive in the sink at home once they warm up sometimes and you can get spiked when you go to clean them------perch especially! I keep mine in the livewell 'til I get home , let's say it's a walleye... I feel for the second vertebrae with my thumb and turn it's head upwards toward the back and...[ according to Pete on Fish'n Canada] instant death .... it works pretty good. Trout usually die on the way home so I've learned to put `em on ice before leaving for home. Pike = knife to the head. I always give 'em a Parry Sound Severe. Bonk 'em. Any salmonoid or trout gets bled right away and if the water is cooler than the air I put on it on a stringer to bleed out in the water or leave on the ground whichever is colder. Killing and bleeding a female definitely helps to keep the roe in better condition. Smallmouth that I am going to keep I kill and scale right away (dang that magic fish scaler works great). Perch I leave alive in a basket in the water as it doesn't seem to affect their taste, but I might try giving them a quick death to compare this season) Pike I don't keep and I am not lucky enough to go after walleye anymore. When kept, my fish either go from the livewell into the cooler alive or straight from the hook into the cooler of ice. I feel that the fresher a fish is when cleaned, the better it will taste on the table. Yes, 9 out of 10 of my fish are still slightly alive when cleaned and nearly frozen. They all have clear eyes (not cloudy) and red gills. The longer you can keep a fish alive the better, fish can start to decay even before death so ice is mandatory for all of my kept fish. It is a real peeve of mine to see people keep fish in a bucket with no ice when temps are above freezing. These fish are rotting and unfit to eat in my opinion. I personally would rather die of hypothermia than blunt trauma, and that's the way my fish are treated as well. Some lakes have a no transport of live fish regulation. If you intend to keep a fish, it must be killed immediately. This prevents culling, which, IMO, is a great rule. I cull at the hook, if he doesn't look like something I wanna eat when he comes off the hook he goes back in the drink, he sure aint gonna grow in the livewell or cooler. You also have to "limit out" to cull, I can't remember the last time I kept a limit of freshwater fish. GCD - you definitely don't have to limit out to cull. Here's an example of what I was talking about. Some lakes have slot limits, i.e. 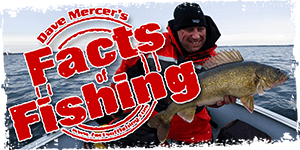 no walleye between 18-21 inches may be kept. You are allowed 3 fish below the slot limit and 1 fish above it (4 fish total limit). You're out there and catch a nice 22" walleye, throw it in the livewell. 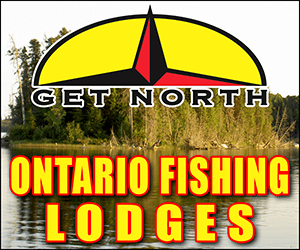 Fish for a few more hours, drive around from spot to spot, bang, catch a 24" walleye and decide that you'd rather keep the 24" and throw the 22" back. Well now that smaller fish has been sloshing around in your livewell for a while and its chances of survival once released back into the lake are deminished. With the no transport of live fish regulation, you must immediately kill a fish you decide to keep. Lac Seul is one such lake and like I said, I like that regulation. Yes it's a great Reg Ben ! But it's pretty much gone the way of the dinasour for most of Ontario, to appease the tourney circuit IMHO. I'm mainly a C&R fisherman and don't keep 10% of the fish I catch, but the ones I do keep are treated with great care to maintain their freshness and table quality! I have to disagree with keeping the fish alive to improve their taste at the table. I find especially with trout and salmon that killing them right away stops certain enzymes and acids from building up in the fish and affecting the flavour. Keeping the fish cold whichever way you do it is of paramount importance too. For the folks who think that bass always taste muddy, keeping them alive on a stringer or in a live well might just be part of the reason. But then again I could be wrong..... maybe some of the scientist types on here could jump in. Pike can be dispatched with with the throat slice just like salmonoids. Put them on a stringer in the water to bleed out. I have to disagree with keeping the fish alive to improve their taste at the table. I find especially with trout and salmon that killing them right away stops certain enzymes and acids from building up in the fish and affecting the flavour. Keeping the fish cold whichever way you do it is of paramount importance too. For the folks who think that bass always taste muddy, keeping them alive on a stringer or in a live well might just be part of the reason. But then again I could be wrong..... maybe some of the scientist types on here could jump in. It's all in personal preference, we don't have Salmonoids down here so I can't comment on them.As far as the muddy taste, that has a lot to do with the way fish are kept AND cleaned. An improperly cleaned fish will have a muddy and/or strong fishy taste, a lot of people nowadays want to just whack on a fish with an eletric knife because it's fast. A fast job isn't usually a good job, they want want to thrust the blade down behind the gill and turn and follow the backbone down to the tail smearing the fillet with bladder bile and stomach contents, and feces... I reckon they figure it's some kind of seasoning or something. Then they flip the fillet over and hack the skin off, paying little attention to the lateral line. In certain species and waters the lateral line is what gives the fish a strong or muddy taste, couple that with improper keeping and you've got a nasty piece of meat. If you are going to keep them to eat, kill em quick and pack them on ice right away, clean as soon as possible. If you aren't keeping them to eat, let them go right away. I often go fishing in the evening and the bite only lasts about an hour, if the water temp is cold enough I will occasionally use my live well but make sure it is filled with fresh clean water. Even when fishing on my dock, I have a 17.5 gal tank that I have hooked up with a bilge pump to pump fresh water from the lake and I will sometimes put my fish in there for short periods of time but if I am going fishing for a couple of hours I always put a bag or two of ice in the live well. I would never use a fish chain or stringer! Usually a stringer if keeping them. Although conking on the noggin and putting them on ice sounds better and I will do this if I happen to have ice and a cooler with me which is not always the situation. Something to think about is the commercial fishing trawlers. I think the fish nets are just brought in and the contents get dumped into the hold and the catch is kept on ice if it's lucky. I do most of my fishing either on the ice in the winter, up river banks in the spring and fall, or in a canoe during the summer. In the winter I'll usually hit them over the head with something heavy or give'm the ol' 1-2 boot stomp to the face. Either that or in the -20 to -30 C temperatures they freeze to death almost instantly any way. In the spring and fall I usually use a trusty rock to do the job caveman style. In the summer though if I am out on the lake and the temperatures are high, I will use a stringer. I need to keep the fish alive lest it heat up and spoil. When I am canoe-fishing I am usually somewhere where bringing ice is not an option. If I'm gonna keep 'em, I slit their throat and put them on ice. Bleeding them out will help to keep the taste in tact. Everything else goes back, quickly! Really depends on the water, If your water is ice cold, keep them in the live well. When going for perch I have bought a bag of ice and added it too the live well, Even draining the water the fish are still wiggleing. How about slowly suffocating and gasping for air? Perhaps being eviscerated while still alive? I feel if I am to kill an animal in order to feed myself, it deserves more respect than that. Kill em quick and then put em on ice. Dousing a fish in bong water will kill it instantly.